The 2012 Computex is coming up. 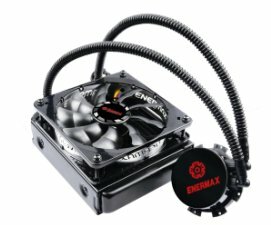 This year, ENERMAX will present its new product sector - liquid-cooling. We will showcase our new all-in-one liquid cooling system, together with new patented liquid cooling design. So please wait for the exciting moment and behold!! As a leader in the power supply industry, ENERMAX will unveil the new PLATIMAX models - the higher wattage of 1350W and 1700W! In addition, more new industrial power series will be debuted.